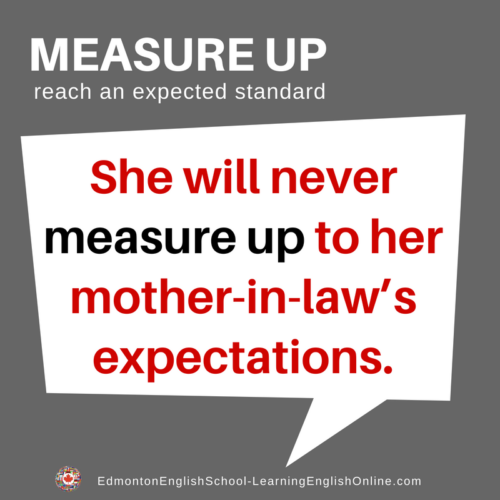 What is the Meaning of MEASURE UP? 1. Sometimes I feel like I will never measure up to my mother-in-law’s expectations. 2. His second wife will never measure up to his first wife. 3. See STORY example of MEASURE UP: It’s not that I feel like I need to measure up to Josh’s definition of Real People.